The hockey world was sent into mourning after Hamilton Police confirmed that former NHL goaltender, Ray Emery, had tragically drowned Sunday. In an interview with the Canadian Press, former NHL player and opponent, Martin Biron, described Emery's impact on those he played with and against for over a decade, "He was a respected teammate and a respected opponent." "When I think of Ray, I think of a really big competitor." From former teammates and opponents, to those who never met him, the rest of the hockey community took to social media to express similar sentiments of a fierce competitor and a larger-than-life personality. 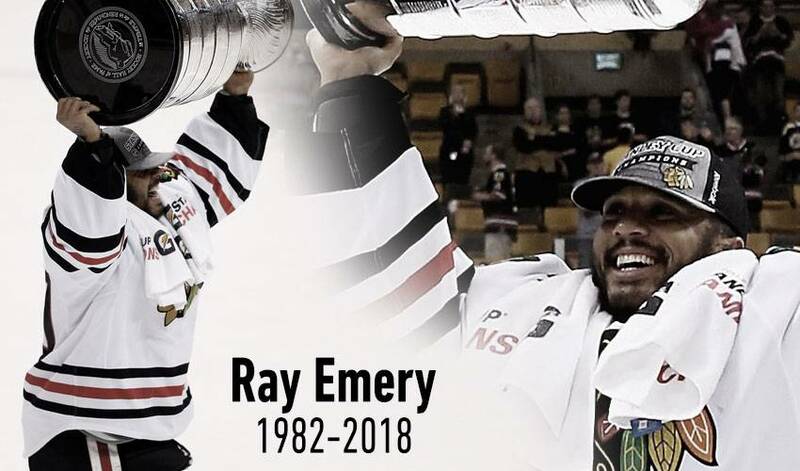 Life is fragile-I have no personal relation to Ray Emery but I have a sense of his vibrance and spirit through video and picture that’s come to light since this morning.I hope he and his family and friends find peace. Be good to urself and others. Love each day. Ray Emery, this is a season of proving to the hockey world that he is still an elite level goaltender.